Popular YouTube personalities and avid Donald Trump fans Lynnette Hardaway and , better known as Diamond and Silk, have a message for US President Barack Obama and Secretary of State John Kerry: “We stand with Israel!” The two former Democrats, who rose to prominence as devoted — and flamboyant — Trump backers throughout the campaign, posted a new clip Thursday in which they lambasted the White House for its recent conflict with Israel over West Bank policy and for failing to veto the UN resolution criticizing settlements.Popular YouTube personalities and avid Donald Trump fans Lynnette Hardaway and , better known as Diamond and Silk, have a message for US President Barack Obama and Secretary of State John Kerry: “We stand with Israel!” The two former Democrats, who rose to prominence as devoted — and flamboyant — Trump backers throughout the campaign, posted a new clip Thursday in which they lambasted the White House for its recent conflict with Israel over West Bank policy and for failing to veto the UN resolution criticizing settlements. There have been ugly interregnums before; transitions from one presidential administration to the next defined not by cordiality and a transcendental sense of patriotic purpose but bitterness and spite. Few modern transitionary periods have looked as ugly, however, as this present transition has from the start. Save the occasional public niceties, the outgoing Obama administration and the incoming Trump administration are engaged not in a ceremonial passing of the baton but in conflict. For the most part, however, transitions are typified by unfailing regard from the outgoing executive for the preferences of the new president, and an incoming administration that seeks to convey a sense of deference toward the current president. No one benefited from this tradition more than Barack Obama, who successfully lobbied the outgoing George W. Bush administration to cede control of the allocation of TARP funding in 2009. 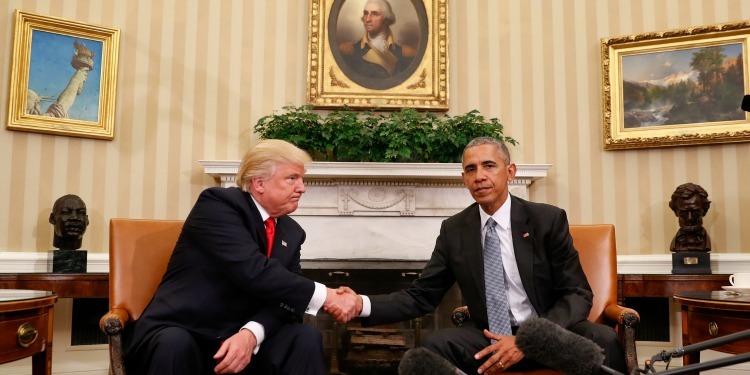 That kind of esteem and admiration has not characterized the process as Donald Trump prepares to take over for Barack Obama. The clear rancor between the current administration and its successor was evident on the faces of the West Wing staffers who gathered behind the president in the Rose Garden. Captured in an iconic photograph, the scowling, fearful, shocked Obama administration members projected spleen. It was a sentiment that would only be confirmed in anonymous quotes and leaks out of the outgoing administration regarding the Trump Team’s utter confusion. More at Commentary. Alert the CDC: Left-wing America has been overcome by another contagious epidemic of assassination fascination. It’s time to declare a public health crisis. Another #AssassinateTrump threat came from Atlanta public transit employee Aleama Philips, who tweeted, “I wish I had the balls to kill him myself,” illustrated with a photo of Trump dead and riddled with bullets. She was fired by the Metropolitan Atlanta Rapid Transit Authority last week. Read at Town Hall. The boycott of the Conference of Presidents of Major American Jewish Organizations Chanukah party is growing. 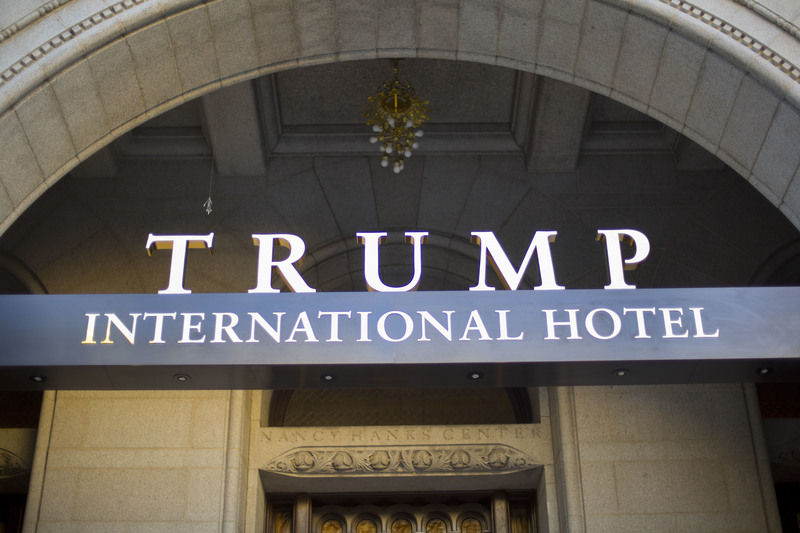 The event is being held at the Trump International Hotel in Washington and the initial reaction from several left-wing groups and the Reform movement was that they wanted no part of an affair held at one of the president-elect’s properties. 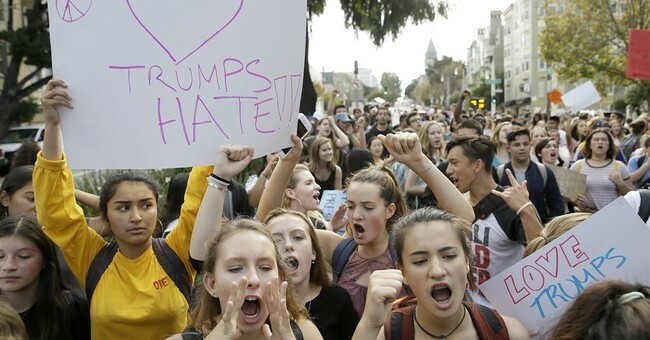 Though they claimed it was a protest against the appearance of a conflict of interest, they made little secret of the fact that their stance was intended to show that there would be no business-as-usual policy toward an incoming administration they despise. As Haaretz reports, the Anti-Defamation league, the American Jewish Committee, Hadassah, and the Jewish Federations of North America are also staying away. It appears that they, too, don’t want to send a signal—however vague—to their donors that they tolerate the new Trump rules or that the next president should be given the same benefit of the doubt accorded his predecessors. There’s another problem here that these groups ought to consider as they give vent to their animus for Trump. The co-sponsor of the party is the Embassy of Azerbaijan. Indeed, it was the embassy and not the Conference that chose the venue. The decision of one of the republics of the former Soviet Union to throw a party with American Jews may seem odd to some, but it was in fact timed to coincide with the visit of Israeli Prime Minister Netanyahu to the Central Asian nation this week. That Netanyahu got a royal welcome from the Azeris is no small thing. The willingness of a largely Muslim country to not merely have normal relations with the Jewish state but to treat its leader with such respect is a genuine breakthrough for Jerusalem. Read more at Commentary Magazine. Taiwan shows what the mainland can become if the Communist Party ever gives up its hold on power. It is a beacon of freedom that deserves American support—more support than it has gotten in recent years. On December 2, he ( Trump) took a much-publicized congratulatory phone call from President Tsai Ing-wen that was carefully arranged beforehand. The problem is that Trump has expressed no commitment to Taiwan’s freedom. 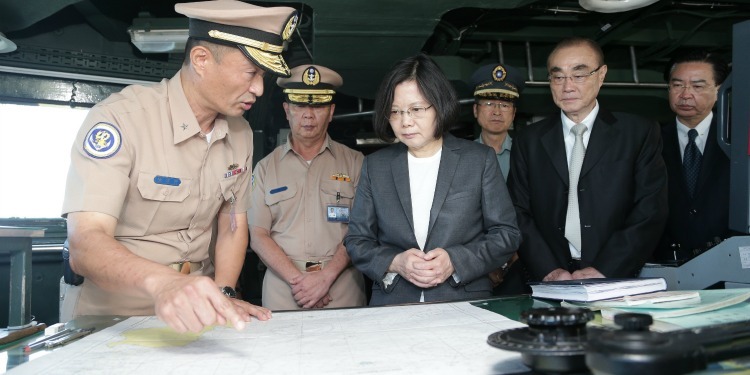 The larger problem is that Trump is treating Taiwan as a pawn—quite possibly a sacrificial pawn–in a game of geopolitical chess. Taiwan should not be treated as a bargaining chip that might be traded away but, rather, as a vibrant democracy of 23.5 million people whose freedom is integral to America’s strategic, economic and, above all, ideological interests. Read more at Commentary Magazine.